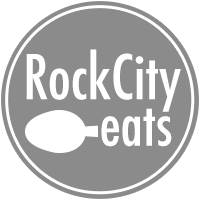 When I started to develop the framework of Rock City 7 years ago, I saw one key problem. Local publications were failing to connect small businesses with potential customers. I had spent most of my career in digital marketing working with small businesses, helping them to reach customers, and local advertising simply wasn’t working anymore. The problem is that advertising in local publications is, and will continue to be the best way for small businesses to reach customers that live in their communities. I believe in the power of small business. Small businesses drive the local economy. They provide stable jobs, a stronger tax base, retention of top talent, and a dramatic increase in the overall money circulating in a local economy, impacting other businesses around them. I believe it is absolutely vital for small local businesses to succeed in order for a city to thrive. If those businesses cannot connect to customers and have a competitive advantage over national, out of state competition, then the local economy suffers. To understand why traditional newspaper, magazine, and even web advertising is not working now, you must understand the principle. If a hypothetical Greg’s Diner wants to go take out an ad in a magazine I am buying an ad that will be seen by everyone who picks up the magazine. Of the people who pick it up only a fraction will actually look at the page my ad is on, even though I paid for everyone to look at it. Of those, If it is a general purpose magazine (which almost all are), only a fraction of the audience will care anything about my diner. Of the small fraction that do look about it, and care about it, only an even smaller fraction will ever take an action on it. In the old days when magazines and newspapers were the main sources of information, it still was a winning proposition, especially when people were more responsive to advertising. The numbers made sense, say a city had 200,000 population and if 50% of the people looked at your ad, 25% had an interest, and 10% took an action you had 2,500 customers all paying $6 for your weekly blue plate special, some of those would even come back. It made the $2,000 spend worth it because you just made a gross profit of $13,000. We all know that is not a reality today. The return has shrunk considerably as people look for other sources of information and are constantly bombarded with ads. So I set to build a model that made sense. First I wanted to remove the problem of only a fraction of the audience being a potential customer. I did that through building niche publications like this one and others that will come out this year. Nearly everyone who visits one of our niche sites is at least in some degree a potential customer. Second I wanted to increase who interacts with our advertisers by creating a model that tries to continuously get in front of potential customers where they are, instead of asking them to come to us leveraging multiple networks and conversion points. Finally, I wanted to build in a structured follow up that kept the business in front of customers throughout the year, increasing the likelihood of that customer taking some level of action. The results were a dramatic increase in every measurable aspect of advertising. We got higher reach, dramatically higher engagement, and higher return. That was phase 1 and 2 of our plan to help businesses. Along the way we gathered data, watched reader behaviors, and learned everything we could about what makes a person a customer. In 2019 we are ready to launch phase 3 of the plan. The goal is to take an even more dramatic move forward in how we connect local businesses to local customers, all at a rate that is highly affordable with returns that nothing else can touch. By analyzing reader data we can build advanced audience profiles to match any local business, not just within our niche publication audiences. We can then take those audience profiles and deliver structured advertising directly to them, and well extend our own personal audience. That means the exact customers for your business see your information even if they do not visit any of our websites by leveraging what we know about our customers and building matching audience profiles. Further, if you do have a business within any of our niche markets, we can dramatically increase the likelihood that they use your business by watching how customers have interacted with your brand or competitors brands across our entire network and delivering ads specifically to those who have shown a past interest. Even better we no longer need a content requirement to make the model work, so it works fine with older businesses that do not have as much news, information, and updates to share with us. So say you are a dentist in Little Rock. We can build a profile around people who live or work near your office, share certain demographics with people who already use your office, and even focus in on people with a bit of a sweet tooth. 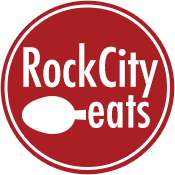 If you are a coffee shop we build a similar profile, look at past articles and find both people who share similarities as well as people who have engaged with a Rock City Eats mention of you at some point and deliver them targeted ads to get them in the door. And again, all this comes at a rate that is highly affordable because we are not needing to reach everyone, we just need to reach your potential customers. Our average annual rate is less than that of a standard one-time magazine or newspaper ad. If you are interested, give me a shout. I would be glad to talk more.